To serve the fish farming industry, we are delighted to announce the launch of Aquaculture Focus an innovative new website for the aquaculture sector that will offer an indispensable range of services including information and marketing resources for all those involved in the industry. 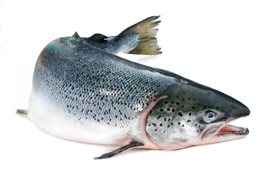 Aquaculture Focus offer a wide range of services for the fish farming sector within the UK and beyond. We will be looking at all aspects of aquaculture offering information, facts and figures and marketing support pertaining to the various sectors of fish and shellfish cultivation. Over the coming months we will be introducing a number of services for the aquaculture sector and those companies who serve this hugely important industry. Not only will we be publishing and distributing fish farming information and stats, but we will be offering a range of marketing and publicity services to generally assist the sector in communicating with existing and potential audiences. The first publishing project we are undertaking is to compile, publish and distribute the Aquaculture Focus Fish Farming Yearbook and Services Guide for the UK industry. The Aquaculture Focus Fish Farming Yearbook and Services Guide will be a high quality full colour A4 reference guide containing informative editorial, industry interviews, facts and figures on aquaculture production and a comprehensive listing section for businesses supplying services to the fish farming sector.